While we've seen sketchier reports of this bundle's existence from Europe, this is the first official announcement that's rattled our mailbox. And it comes in the form of a release date and price for Australia. 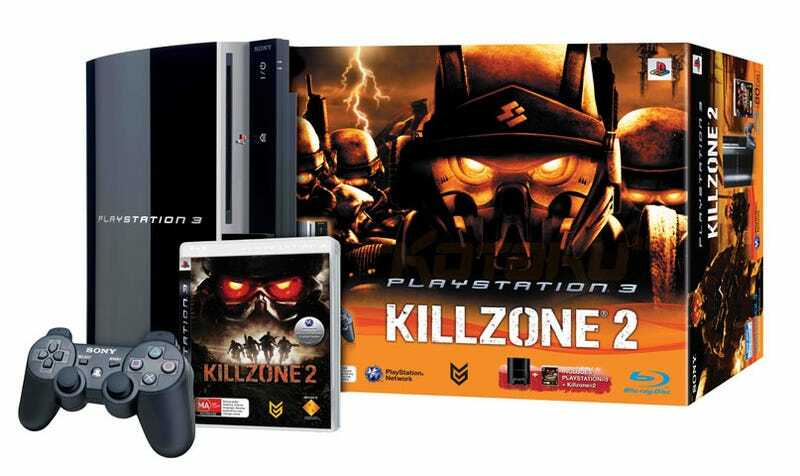 The bundle - which includes an 80GB PS3, a DualShock 3 and a copy of Killzone 2 - will be out in Australia on February 26, the same day of the game's release. Wouldn't be too great a stretch to presume the same will be the case a day later (February 27), when the game's released in Europe.